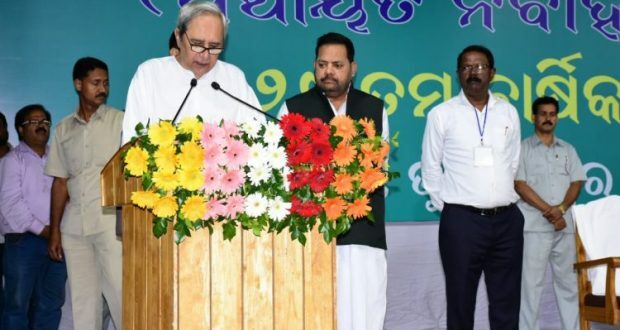 Bhubaneswar:22/12/18: Chief Minister Naveen Patnaik today instructed the Panchayat Executive Officers (PEOs) to follow on his 3Ts mantra for serving the villagers and win the people’s trust. Gracing the 29th Annual Conference of All Odisha Gramsevak & Gramsevika Association here at Rabindra Mandap today, Patnaik said that the Gramsevaks & Gramsevikas play a vital role in the development of the village. The Odisha CM also mentioned that the newly-launched PEETHA programme aims to properly deliver and disseminate various government schemes and services to the people at their doorsteps. He also asked the grass-root level workers to shoulder a special responsibility for the proper implementation of KALIA scheme announced for the farmers yesterday. “The success of 3Ts-Transparency, Teamwork and Technology depends on you. You all deliver good work and win the confidence of the people,” the Chief Minister concluded.